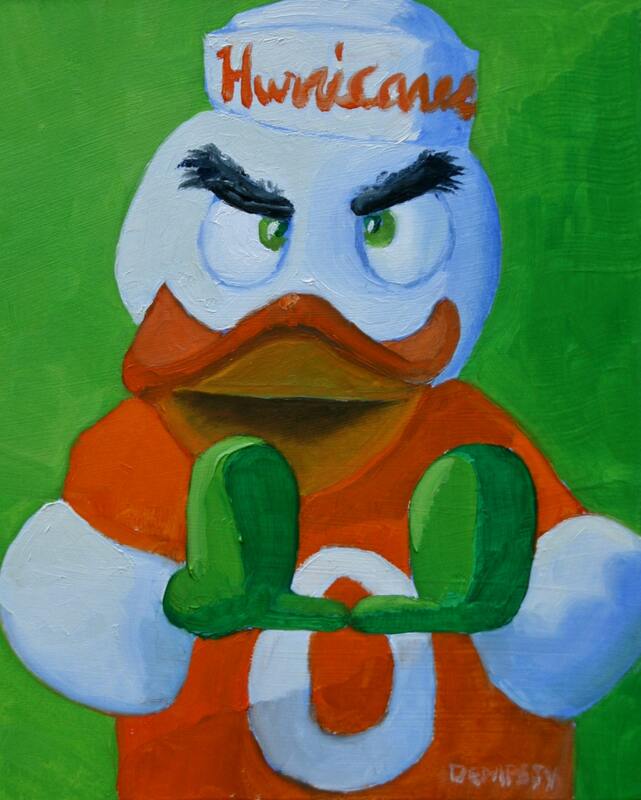 Sebastian, an Ibis who is the mascot of the University of Miami...aka, "The U". Sebastian is making his famous "U" with his hands ... er ... paws ... er ... wings. I absolutely love it. And so will my Canes fan boyfriend!